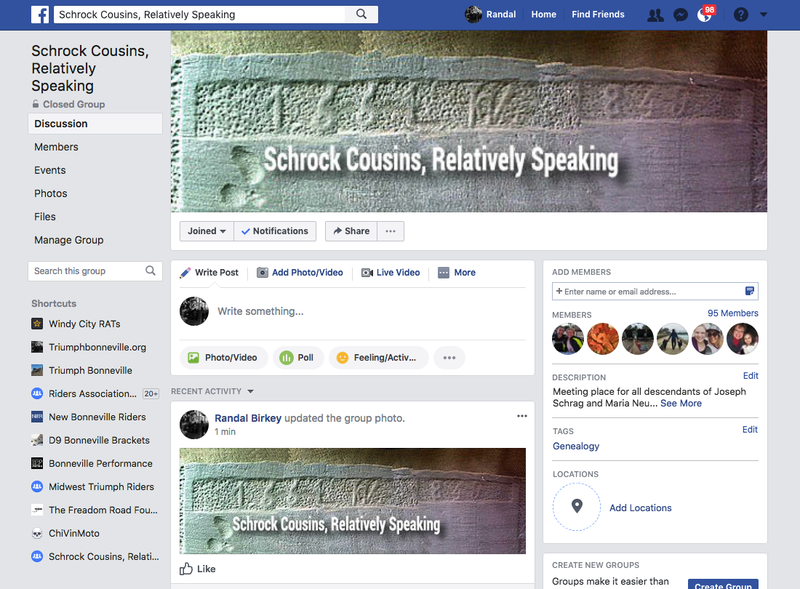 Daniel D. Schrock (1821-1880) and Barbara Yoder (1830-1877) arrived in Aurora, Preston County, West Virginia, about 1859 from Somerset County, Pennsylvania. 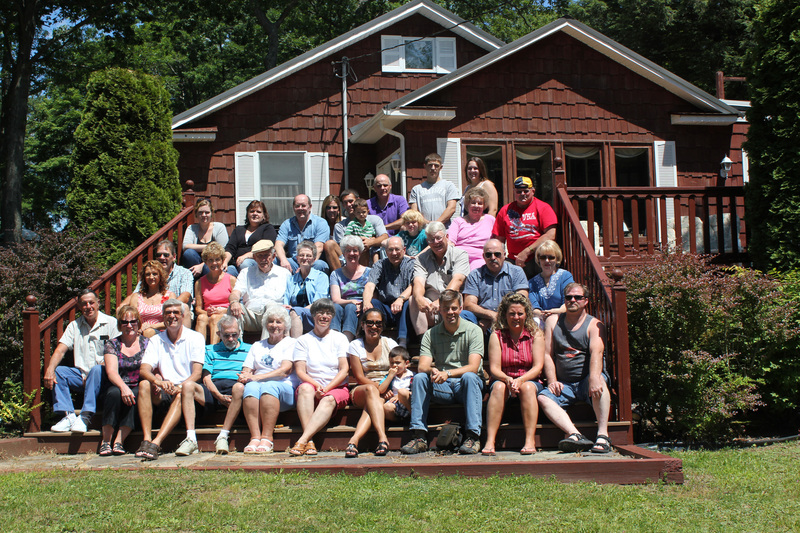 Their descendants hold a reunion every year at Deep Creek Lake, near Oakland, Garrett County, Maryland, usually held on the 3rd Saturday in July. I was recently sent this photo from their 2011 reunion by a descendant. Click on the photo for a larger image. This family line probably intersects with our Schrock line at Niklaus (b. 1660) and Christian Schneider. Their son Ulrich (Niclaus) Schrag (b.1688) and Elisabeth Meyer are believed to be the parents of three sons; Johannes (b. 1730), Ulrich (b. 1740), and Casper (b. 1745). From Casper the direct descendants are as follows: David (b. 1786), Daniel (b. 1821), David (b. 1852), Scott Cleveland (b. 1884), Eva Grace (b. 1917).